Life is beautiful: Don't sugar coat; sugar! Managing your diabetes is not science, it's an art! There was a time when I used to walk 120 minutes daily! Now it is come down to as low as 15 minutes per day. I wonder how much do we walk. If we had a choice will we walk at all? Who knows!! Our lifestyle is leading us to many and more diseases every day. Let’s talk about the most common of them: Diabetes! I just took a 6 seconds test and realised I’m at a very low risk of diabetes. 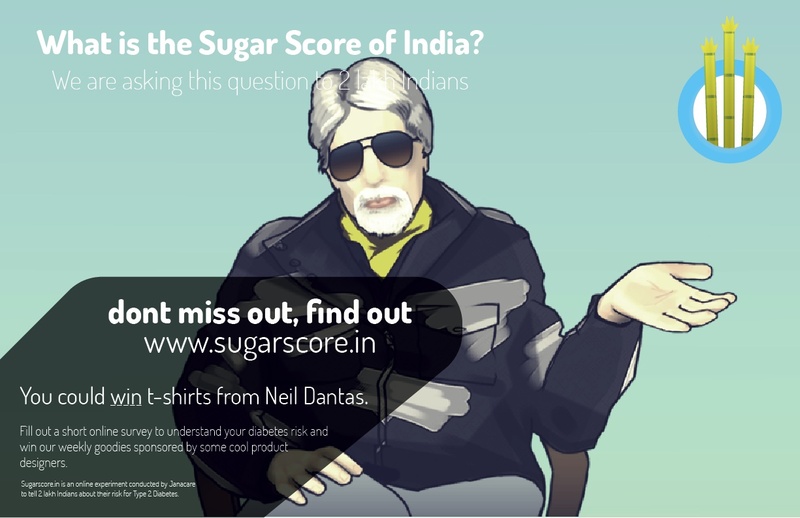 As part of this effort, photokatha (@photokatha) is conducting an online experiment called ”Sugarscore“ to understand India’s Diabetes risk. 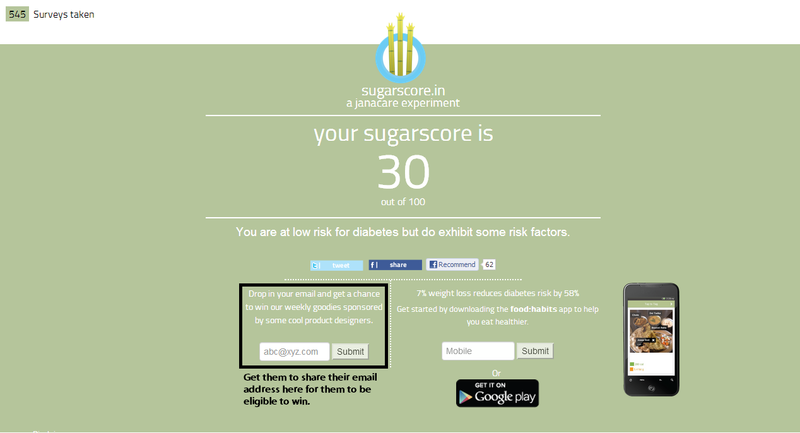 Sugarscore is a six second survey that will help you understand your risk for Diabetes. The user basically goes to www.sugarscore.in and quickly answers five questions (age, gender, waist size, physical activity levels and family history of diabetes) to get his or her Sugarscore. Diabetes kills one person every 8 second! Excess weight is the single biggest risk for developing diabetes.